I have lived in enough cities to know that we are truly blessed to have so many wonderful labor & delivery hospitals and birth centers in the Dallas – Fort Worth Metroplex. So much so, in fact, that the number of choices can be a bit overwhelming! So, I wanted to share a series of interviews that focus on getting to know some of the most mother and baby friendly places to give birth in DFW, in hopes of making the search for the right birth place just a little easier. 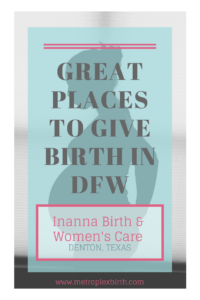 Today’s interview is with local DFW doula, Ashlyn Biedebach, and is all about Inanna Birth & Women’s Care in Denton, Texas. Q: Tell us about the atmosphere at the birth center. What are the delivery rooms like? A: Located across from the beautiful TWU campus in a renovated home, Inanna is one of the coziest birth centers I have ever been to! The atmosphere is that of your own living room and kitchen without the mess! 😉 There are candles, diffusers and speakers readily available for the laboring women with showers and tubs also available for comfort. The beds are large enough to labor with your partner on, or take a nap with you baby after birth. Such a beautiful place! Q: Tell us about the providers who attend births at Inanna. 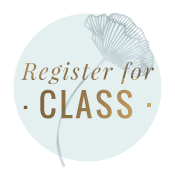 A: There are currently two Midwives who work at Inanna, Jean Sala- Smith, CNM and Elaine Candeloro, CNM/ DNP. Jean opened the birthing center and has been a midwife for over 20 years! Elaine is in her second year of midwifery work and is such a great provider. I love working with Elaine and Jean! They are both so knowledgeable and compassionate. 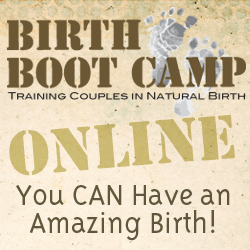 A: Inanna is the perfect birthing center for the mom who wants a home birth feel at someone else’s home! It truly is a home away from home and every comfort you may need is accessible. The kitchen and waiting area are perfect for family and friends or just to use during labor! Both birth rooms are unique in their own way, but each have a birth tub and bed for water or land births. You may eat, drink, walk, sway, dance or whatever your heart desires in labor! Sometimes if you are there in early labor, you may walk around the TWU campus for a change of scenery. It is really just a great place to be! Q: Why do you love supporting moms and families at this birth center? A: I love the freedom that this birth center offers women. You are allowed to trust your body and labor any way you would like, all while being supported by AMAZING midwives who are so experienced and friendly. Often when I am at a birth the entire team is offered tea and we all get to fight over who gets to use the Harry Potter mug. 🙂 It’s a great place! If you would like to find out more about Inanna Birth & Women’s Care or to schedule a tour, visit www.inannabirth.com. 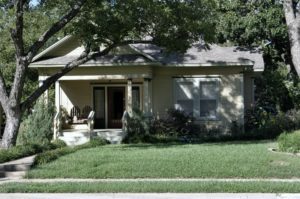 Big thanks to Ashlyn Biedebach for sharing all the details about this wonderful DFW birth place option! Ashlyn is a wife to her husband Jacob, graduate from the Nursing Program at Texas A&M University, and a new “Dentonite!” She has been in love with birth and the miraculous process of pregnancy since early high school and was sold on birth work after shadowing a local midwife and hearing her first in utero heartbeat. 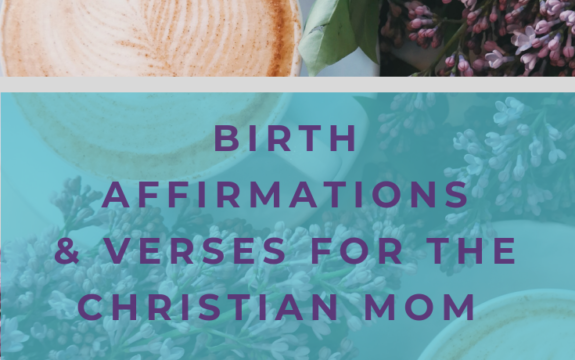 In nursing school she was able to attend many hospital births, but has always been drawn to the peace and power that mom driven labor & birth brings. Ashlyn is an RN with her Bachelor’s in Nursing and owns By The Brook Birth Doula and services the DFW metroplex! Ashlyn loves doing yoga on the Denton square, hanging out with her kitty, Lucy, and weekends with her husband. You can follow Ashlyn on her Facebook page or Instagram. To learn more about her services, check out her website at www.bythebrookbirthdoula.com.